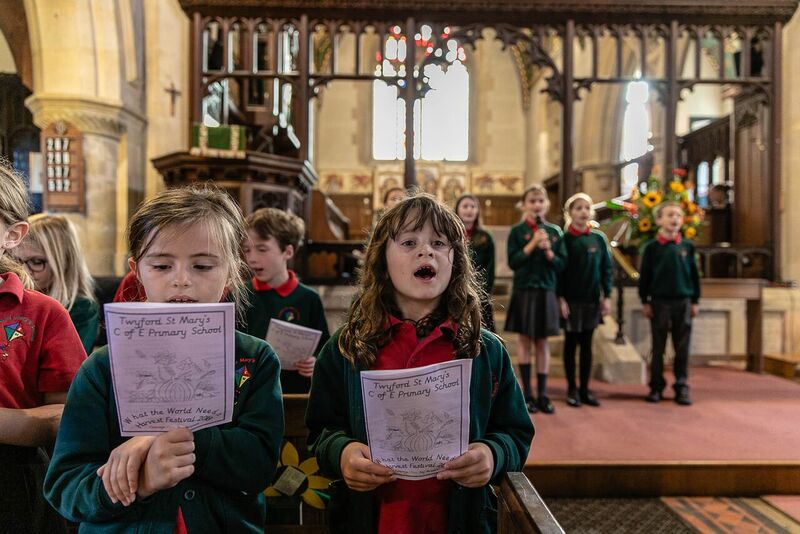 We are a Voluntary Controlled Church of England Primary School with a strong foundation and, as such, Christianity is at the forefront of our religious education. 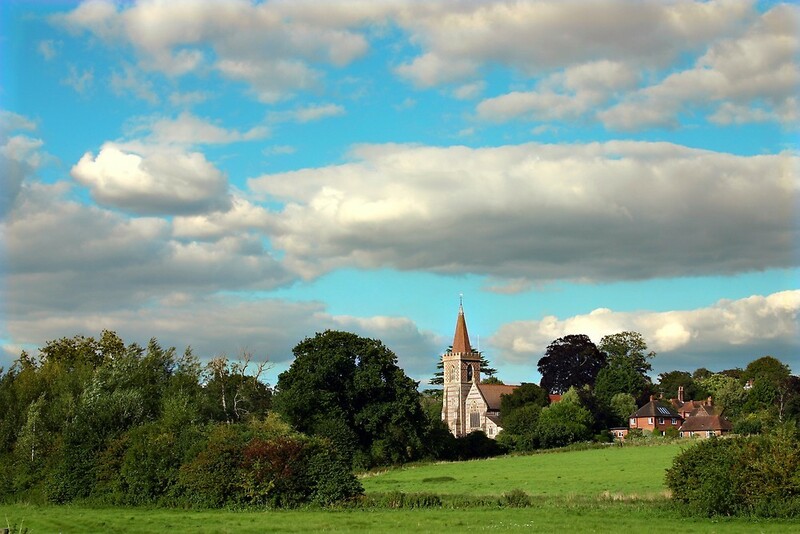 Our church, St Mary’s, lies across our school field, beyond the water meadows. Our strong connection with the church is illustrated in a frieze displayed next to our school gate. The whole school visits the church for Harvest, Christmas, Easter and Leavers’ services. As a church school, we have strong and supportive links with our local churches, St Mary’s and the Methodist Chapel. Church workers and clergy visit the school on a regular basis. They lead worships, guide the children on tours of the church, lead services in the church for our children and have representatives on our Governing Body. Our vicar, Rev. Damon, regularly leads Collective Worship, also known as assemblies, in school supported by Rev Corcoran and other members of the parish. Through our themes, we also frequently discuss other faiths and have regular visits from representatives of many different worldviews such as Islam, Judaism and Humanism. This culture of being curious about spirituality links to our ‘explore’ learning key. Alongside collective worship, the school encourages children to develop their own spirituality by giving them inspiring moments, time to reflect and developing times for children to follow their own lines of discussion and inquiry. We feel it is important for children to experience these moments and develop their own personal spirituality. At Twyford St Mary’s C of E Primary School, we believe that Religious Education should be taught within an enriched and meaningful curriculum. Religious Education enables children to investigate and reflect on some of the most fundamental questions in life, for example, the meaning of life and the existence of a divine spirit. We want children to reflect on what it means to have a faith and to develop their own spiritual knowledge and understanding. We help the children learn from religions and other worldviews. During R.E. lessons, teachers follow the Living Difference locally agreed syllabus, which is also followed by most schools in Hampshire. This curriculum gives the children the opportunity to discuss different themes such as special books, wisdom, and sacrifice while looking at other religions compared to the Christian faith. In Key Stage 1, children learn about Christianity alongside Judaism. In Lower Key Stage 2, children learning about Christianity alongside Islam and in Upper Key Stage 2 they learn about Christianity alongside Buddhism as well as Humanism as a non-religious worldview. 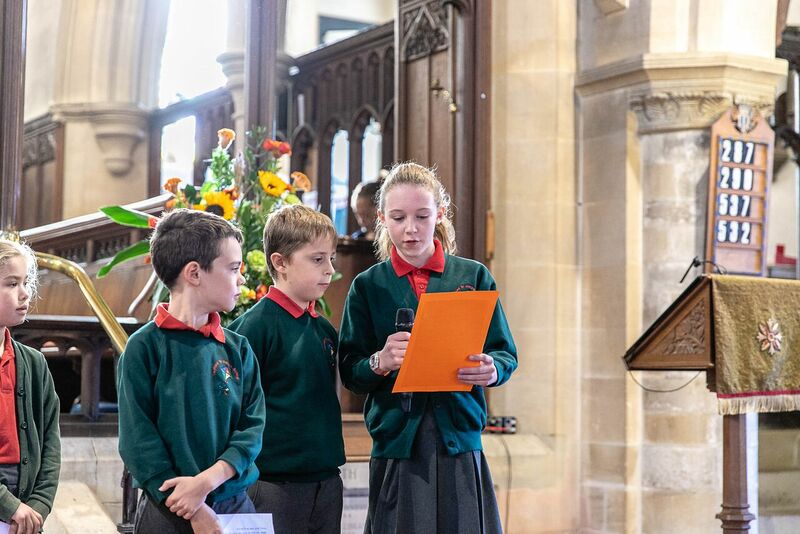 We are proud to be a pioneering school in terms of our religious education, being the first in Hampshire to include Humanism into our Y5/6 lessons as a result of research undertaken by our SMSC Leader with the University of Winchester. The Understanding Christianity resource is also used to enrich our exploration of theological concepts, Christianity in particular. We base our teaching and learning style on the principle that outstanding teaching in R.E. allows children to reflect on both what the religious concepts mean to them and also what they could mean to others. In an R.E. lesson at Twyford St. Mary’s, visitors will see a wide range of challenging, enjoyable and stimulating experiences that are accessible to all. We have regular visitors, trips and artefacts to enrich learning.